Nowadays we are experiencing the consolidation of social networks (SN). Although there are trends trying to integrate SN platforms. they remain as data silos between each other. Information can’t be exchanged between them. In some cases, it would be desirable to connect this scattered information, in order to build a distributed identity. 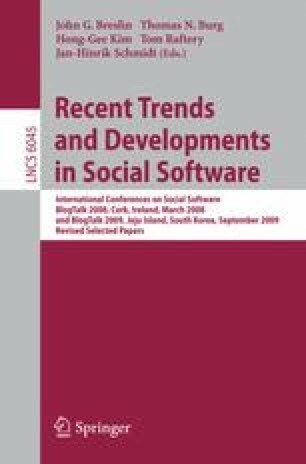 This contribution proposes an architecture for distributed social networking. Based on distributed user-centric identity, our proposal extends it by attaching user information. It also bridges the gap between distributed identity and distributed publishing capabilities.